Is that 5 to 7 trading days? Short term top in a runaway move. I imagine there will many of those. I don’t have confirmation yet of a runaway move. If the market fails to correct in the next 1-2 weeks then I will go with that scenario. Gold is just done with it’s intermediate rally. We’ll go back to that sector again in May after it works off the sentiment extremes and the huge stretch above the 50 DMA. Respectfully asking, What If this turns out to be the “runaway” market surge instead? What then happens to the DCL profit taking event if it doesn’t happen in the next 5-6 days? At what point can you expect it to happen if it keeps getting pushed out further? Oil looks like it started into a DCL but the general market along with biotech may have decided to decouple from Oil’s drop. Seems like we might miss out on a huge run before getting back on board. If so, then what will be your strategy for getting back in? I’m not upset… just a bit baffled on what we should look for if the market just keeps going up. I do greatly appreciate all your incite and knowledge! And that’s the problem with “Joe six pack”. They always think it’s a runaway. 90% of the time, stocks are trading sideways. That is correct. Most of the time price of anything is consolidating. Don’t worry about missing a move. The size of the bottoming pattern in biotech is so big that once the move starts it will continue for at least 2 months, so we can buy into overbought conditions if we have to. Ok… Thanks Gary. Will wait and watch for next best entry point. Maybe once the DCL in Oil finishes up…. I went 200% short at the close. Wish me luck and see you boys at 1980. SSO is a Bull etf. SDS is the Bear etf if you’re shorting. That’s correct. Short SSO. That price erosion is a double whammy. Gary just earn some respect with me by making that “sell” LABU call yesterday. It’s the prudent thing to do. I’m feeling good with this 200% short. Yes we did exit LABU at breakeven. The bottoming pattern was just taking too long to play out and the later it gets the more likely stocks will move down into a DCL and drag biotech down with them. If I’m wrong and a runaway is starting then I’ll have to come up with a plan to get back in. Selling LABU? Wait a second there Gary. Just days ago you were saying it was primed to take off and all the technical and fundamental analysts can’t see these moves coming because they are using the wrong tools. But now you sold your position at the bottom and are talking about another DCL. Can you have a DCL followed immediately by another DCL? Maybe these cycle counts are not working properly either. On that note, I am curious to know how you get that we are at a 7 year cycle low on stocks when in fact the market has been going up for the last 6 or 7 years? Maybe you mean to say we are at a 7 year cycle top and now we will go down? This method of your is baffling because up is down and down is up. Gary Guess I’m Jacob 12 pack. Despite the fact that I can see your short term scenario playing out I just have no confidence that I would be able to sell now and jump back in at a later date and make money. Guess ill emulate Buddha and do nothing. Nothing really is the hardest thing to do. Perhaps April will all be to the upside …it is the Markets strongest month. ADP estimate of employment past month was 200,000 jobs in March, estimates are 203,000. BNN in Canada….. stated targeting 210,000 for Friday’s report. March to June is a larger positive employment gain which is based on Seasonality site I follow. Companies start hiring for the summer as we all know…… BNN stated employment has been running above the average for JAN-FEB so were gonna have a good report and small guys like me just found this out WED but Im sure Big money has known this for weeks…… Im sure a strong day FRI and I also believe into Monday will be the time I exit some OIL positions and sit on the side to see what happens…..
* US Earnings season in April (expected to be bad). * Major US indexes nearing overbought territory. * Almost all European & Japanese major stock indexes looking like they might begin to roll-over. * Dovish FED talk larlegy priced into market already. * Oil & Copper both looking weak. Choppy sea’s directly ahead IMO. You forgot one major component. Global QE and negative interest rates. All that money has to land on something. I have little doubt that after US earnings season this April they will press the pedal to the metal … but headwinds may reassert as the election approaches IMO. BTW – you should set-up a “donate button” so people can randomly give back some profits for your free research when they so feel inclined. I don’t subscribe because I just use my retirement funds and no regular trading, you help me ride the ups and downs with that. I would love to reward you with what little I can, using a donate button would allow me to do that. There has been no new QE in the US for a year and a half. That would explain why the US Equity market indices have been forming a rolling top since last May. Not so surprising is that European markets and the Japanese Nikkei are creating the exact same rolling top pattern despite all that QE you mention. I am only talking the facts here. Look at the long term charts. If QE anywhere is helping stocks then why is it not showing up on the indices? Sorry to rain on the parade but we are going down. And that is not an April fools joke. I’ll be willing to bet a burrito you are wrong. Look, if we could even agree on a time period or a trend there might be a bet but as with all discussions on the market most people can never even agree on such things like short, medium or long term bets. If you want to be specific about your call on the other hand then I am game. Right now the trend is for markets to soften up rather than break out. We are already in a correction and have not yet exceeded old highs. Even if we did that does not assure anyone we will still not see a 10% correction this year. And who eats Burritos? They look like human waste in a bun if you ask me. Say again? How is that I am going to be wrong? Oh look! European markets are getting their boats swamped today. Oil, gold, silver, platinum all cratering. Thanks anyway, but I will skip on the Burrito. But you lost the bet already. BTW – Thanks partially to Gary’s research (and partially to my own research) … I was able to jump onto the Gold sector bull this Jan 2016 … bought a bunch of really, really cheap Options on several Gold Miners … cashed out the majority of those Options over the past few weeks for a series of 5 to 15 baggers in under 10 weeks … if I was going to pay for a subscription, I think Gary offers the best bang for the buck, IMO. IMO … I think the FEAR TRADE has largely come out of the Gold market over the past few weeks – partially due to the rise of oil & major US indexes over the past 6 weeks … however, I think the FEAR TRADE may come back into the Gold Trade shortly (like as in the next few weeks) as European & Japanese major stock indexes look like they may roll-over soon … a horrible US earnings season may add fuel to the FEAR trade. Just a little observation here Bill, but have you not noticed the Fed has wanted and needed inflation ever since the first QE was announced but they have not been able to get it? Maybe that should tell you something important. For example that they cannot get what they want. In other words they are not that powerful so relying too much on what you think is their agenda is not the best investment strategy. No inflation? What world do you live in? Stocks have gone ballistic over the last 7 years. The funny thing about inflation bill is that it rarely ever reverses. You might notice that in the price of autos or candy bars for example. Even over decades prices tend not to fall back once they have gone up. Price deflation is factually rare outside of technologies where automation and advances in semiconductors actually cause price to fall over time. Flat screens for example keep dropping in price. But that is not the norm. So we learn to talk about the rate of inflation each year in terms of what it adds to the price of an auto this year versus last year. And then we can put that information on a long term chart and see how much the price of the typical Ford or Chevy cost on 1950 versus today. And then we can plot that information against the value of a dollar since it is fundamentally a dollar issue anyways and the objective price of a car is somewhat relative to the purchasing power of the bucks you earn. Now on the other side of the coin you have assets like stocks and housing. Those prices go through cycles that can run at odds with inflation rates for extended periods of time. I am talking years even up to a decade where the relationship is broken. US housing prices are currently running hot and exceed average inflation rates. The difference is substantial if posted inflation is 1.5% percent but the median home jumps by 7% annually. So the house price or the stock price are not useful in measuring inflation and that is why they are not included in the categories that are measured. Considerable efforts have been invested over the years by scholars and economists to create an inflation gauge that provides useful monthly and yearly information on the state of real inflation rates. Again, over the long run, housing does mirror inflation just as the stock market does but over shorter periods of time both can enter bubbles related to speculative demand. That is a different function of the market altogether though and does not fit the definition of inflation. We know that because those bubbles burst, prices fall back to the mean and the cycle begins anew. So when you point to the high cost of housing and call that inflation I can answer you that there will also be a offsetting deflation that will bring the assets back in line with the genuine average inflation rate over time. You are pointing to anomalous numbers but they don’t apply. What you are talking about is really just noise along the curve and it is not meaningful to the discussion since it distorts current readings. Once you smooth the data over a period longer than the typical business cycle you can readily see that in fact both housing and stock markets follow the inflation curve fairly well. Meanwhile, the inflation that the Fed desires is easy to understand because they tell you exactly what it is. Yellen seeks a 2% rate but we are currently running at just 1.8 percent. They are talking about a headline number based on things such as rent and a variety of the usual expenses most Americans face daily that are part of the predetermined basket used to arrive at that number. The Fed is not looking for median housing price inflation or the value of stocks as the source of their metric so that they can use that data to make a decision on rate hiking as just one example. Neither one of you seem to have a grasp of the basics here so I should not be too surprised by your less than rational responses. If you want to change the definition of inflation then that’s fine but please just state that and we will have a much easier conversation. And while you are at it please send a note to the Fed and let them know that you two are obviously better equipped to make a decision on interest rate increases because you have discovered all this hidden inflation the Monetary Authorities seem to have overlooked. That will get a big chuckle in the Eccles building. The Feds and the govt. cannot report higher inflation because that would automatically trigger a COLA for social security and other benefits. Look at the real costs that people pay, with the obvious one being health insurance. There is a cycle present here. As growth expanded, the private worker did very well. This peaked in 2000. When monetary stimulus was added, people were comfortable borrowing at unprecedented levels against their inflated assets, i.e. houses. This then led to a massive increase in both property tax and government salaries. Years ago, the public salary always trailed the private because of no risk, less work, and essentially a guaranteed job and retirement. Now, the public positions get all of this and much more salary on percentage basis. This is the top of the inflationary cycle. So now many are predicting $50, $60, $70 oil, which will translate back into $3 gasoline. What component of the CPI will fall next time to equalize the reading? Housing??? The reason, because money is jumping from one area to another. As for automobiles, you cannot compare prices of yesterday to today because the content is much different, i.e. the metal to plastic ratio. Just as years ago, it took about 22 12oz aluminum cans to make one pound of aluminum and now it is 32, almost 50% more! Richard, i have heard all those arguments. There is a lot of disagreements about how numbers are calculated and that is a great discussion for a blog post but its not the point being made above. By the metrics currently in use (and they have been around for decades so this is nothing new), there is insufficient inflation in the economy to justify rate hikes. Gary and Bill countered that I must be blind because inflation is obvious in stock markets and the cost of housing. I responded to them why those items are not even considered in the CPI inflation calculation and numbers. In other words I answered them with facts we all know and understand. What we do have is a problem with consumption demand that is happening simultaneous with a surplus in commodities and that has bled through to pricing leaving us with a real absence of inflation in the groups that are measured. Please go back and reread my comments on why housing and stocks are not included in CPI measures and it will make more sense to you. If both those items are badly inflated (and they are) then we should be anticipating that ever more disinflation is coming at some point. Secondly we have a demographic issue of aging that encompasses most of the developed economies including China and that is going to be a damper on inflation for many years to come. Inflation is not our worry, i assure you of that. But deflation in assets surely is. Just because stocks and housing aren’t included in the normal measurement doesn’t mean there is no inflation. Inflation is an increase in the money supply. That has to land on something. In a free market it would land on everything equally. In our manipulated markets gold and the commodity sector has been suppressed via the paper markets so the inflation had to land on something else. Namely Stocks. I primarily agree with your post. My main point is that more than likely, we are at another inflationary, or at least, inflationary expectations point. This will eventually end in deflation as excesses that have been created are destroyed. Consumption demand: Absolutely. Major problem here. If new money is lent in the upcoming year, a greater surplus will be built into a declining demand. This can create an even more severe future deflation. Demographics: This is also a major concern. This relates to my comment about the “baby boomers” joining in one the stock market rally. They will not and their spending will decline significantly as more retire and they become consumers of benefits. So all in all, I believe we are on the same page. That is the reason I am saying we have reached the peak in the inflationary cycle, which leads to disinflation. As far as the reported CPI, I haven’t examined the details close enough to provide a good response. I really am not too interested here either. The main idea is that “investment” type entries are not included in the CPI, i.e. like you said stocks and housing. I believe they use a “rent based” estimator here. My main point, is that overall prices cannot be sustained. The govt. wants the status quo to be maintained and are ignoring the fact that over the past 20 years, we have lived in excess, thus they are attempting to maintain an excess environment. Really? OK then maybe explain where all the inflation in housing went following the US housing bust in 2006? Where did all the inflation disappear too after the Dot-Com market crash? Was that really inflation at all? Or was it perhaps ordinary speculation? And where did the inflation go after the crash of 1929 when stocks, commodities, housing and bonds all went bust together? Your argument that “it has to land on something” holds no water during a secular decline at the termination of a credit cycle. You know why? Because a lot of the wealth is purely fictional to start with. It is little more than an idea in the minds of men about what something is worth. And as long as others agree then it is a fact. But turn down the economy and most asset values can plummet if ready buyers are not available or will not step forward. That’s why my house can jump 17% in a year for no other reason that the neighbors sold a house for 17% more. Certainly it did not rise because of my thrift, hard work, talent at fixing up my house or anything else. Asset valuations are substantially fiction Gary. It is why some houses actually fell to zero during the last bust. So house prices and stocks are not, nor can they ever be, used as measure of consumer price inflation. OK Thanks Richard. I just read your post. There is no question the debate on inflation and deflation is still raging. Adherents on both sides seem equally adamant in their positions and so the debate will never end until we get all the facts once this period is history and done. What we do know is that stocks are already over priced by historical averages. Houses too are rising in value at an unnatural clip. That does not mean they cannot still go higher though. When i look at the charts all i can do is go with the probabilities and right now those odds favour a correction but of course nothing is ever written in stone. So its great to talk to other people like yourself who have a different take because that’s what helps me to sort things out a lot of the time. I give Gary’s ideas some play as well but we are not in agreement at this time. He is in the school of Martin Armstrong with the idea of a “slingshot” move higher in the stock markets and if you follow Martin you will know his reasoning is because investors will run to stocks as they dump government paper. Sounds reasonable to me. So Gary and Martin could be correct. But I am not sure Gary knows that a slingshot move is actually preceded by a decline. Its the same way you would use that tool. You pull back on the rubber cord as far as it will go first and then release so the projectile takes off skyward. Maybe we all agree if that;s the case. A slingshot move needs a decent pullback before there can be a parabolic run so maybe Gary is just early and not necessarily wrong. China PMI came in above 50. Time to slow the injection. Japan falling over a cliff tonight. Japan down 500 points. Not sure why China is down. Maybe because everyone has realized they (China) are in the middle of an epic credit bust that is just now becoming clear to the big players? Just saying the obvious of course. 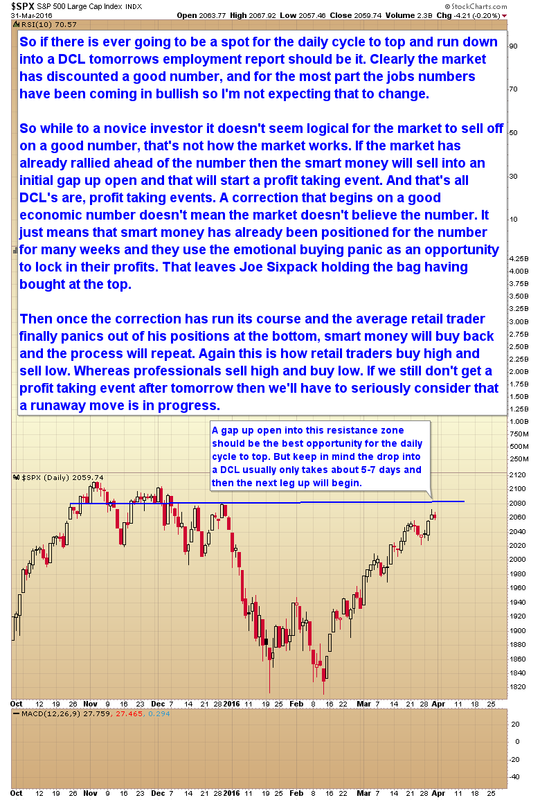 There is not a chance in a thousand that we get a runaway move on stock markets given the outlook elsewhere. In this world we live in we all get sick when Asia catches cold. And right now Asia is very sick, most especially China. If stock markets fall now we are guaranteed a recession too. So think twice before getting too invested in the long thesis when insiders are bailing out or you will be the bag holder when it goes down. If you don’t know whats going on then going to cash is the best idea of all. Funny, I was just thinking about that phrase yesterday, China catching cold. Notice how the FED is no longer concerned with their mandate? Agree, capital flows out of China are costing China $$$. I am just wondering when they will initiate strong UST sales again. So yes, I could envision US QE if long rates begin to rise above 4%. Those Treasury sales should accelerate in the coming two years. People will as usual be freaking out that China is trying to destroy the US and other nonsense like that but the truth is they have little choice but to draw down reserves to shore up the Yuan and meet mounting obligations on the home front, Russia also sold off a considerable portion of their US Securities and that happened at a time when their economy was being hammered by low oil prices, an embargo, a major decline in their stock markets and a currency crisis as the Ruble plummeted. It could not have been worse for them as all those things happened just as they were seeing mounting expenditures on the conflict fronts in Crimea, Syria and Ukraine. Don’t forget that the hoard of Treasuries China holds is not a whole lot different than a bank account and when they need capital they will be selling issues to make ends meet. There are very difficult times coming in China now that both their stock market and real estate markets are either crashed or wobbly. The list of their woes is endless really so a bond selling event (dumping as the paranoids call it) is going to get a lot more intense later this year and in 2017. That’s easy. Capital flows silly. Look at the YUAN. Sorry, that was the reason for China being down. My bet is on NO correction, or no meaningful correction in the next 1-2 days at all… this train is going to go against all predictions and climb into May for a top ……………….. Gold’s next bottom may coincide with stocks top in May/June. Words of a gambler. Are you even solvent playing stock markets with that foolish outlook? Why don’t you put a lid on it and stick to your own funk, the stench is awful. Cree : I like your reasoned thinking. Keep posting. The “retail” investor is long gone from this market and not coming back anytime soon. He does not have the money and the access to credit. What’s more, millenials do not want anything to do with the “rigged” wall street market AND baby boomers are NOT going to expose themselves to another lost decade as they have lived through for the past 20 years. I think Gary is referring to CBs buying stocks, etc. What’s interesting is I am hearing many are pushing for retirement plans to be fully self directed, which would change the entire pension/401k structure. The market is DOWN on Friday morning. I think the bear market rally is over, stopping at a reasonable point on the down sloping trend line. We are in a huge, powerful, unexpected wave 3 down to maybe 1500 SPX. Patience is a virtue. You think.. based on what?.. Thanks for the blog. Very interesting perspectives. How does one start to understand the COT charts? Do have any beginner information? I am the dumb money. Buying high and selling in panic and I hope to rewire my behavior and be the smart money. I cover this stuff in my premium reports. I feel like we saw the dip in gold, Gary. What do you think ? I am waiting for a double bottom confirmation. Gary — stocks sold off early after employment report. Now after the Mfg report at 10 am, the market recovered and is now up. Are we still looking for a short-term top today, or is the DCL occurred and now we continue a sustained uptrend? I would like your view on stocks like Pepsi commanding the multiples and share prices that they are. The last time I checked they had a net income after taxes of $5.5B with a $4B dividend payment. When does this party end? Sounds good to me Richard. I don’t follow Pepsi but I like those numbers so I will take a look. Not all stocks go down in a correction if that is what you are wondering. Some will actually take off higher. You have to look at them on a case by case basis. I have been watching many of these types for over a year now. This is a common theme in the energy sector as well. Regarding the correction, I agree. The strongest will always fall last, provided there is not some other phenomena within a specific issue. What I was wondering: Do you feel personally that this situation can continue in which money continues to park in these issues with no regard to valuation? I.E. how long can the debt Ponzi scheme continue in which dividends and buybacks are financed with debt? Pepsi is up to $1B in annual debt payments. The trend is your friend. Why do people like calling tops and bottoms and instead let the price action define your play with a defined stop. Market timers are getting their predictions wrong more than right since 2015. Why be the first to the party? Since most here are technicians you’ll know when a trendline is broken or a reversal is in place, wait for it.